EWT “uses the company’s Taipei-traded shares rather than the American depositary receipts, but both stocks mirror each other quite well. The U.S. and Taiwan shares are pulling back to the 50-day moving average for the third time since breaking out to new highs in June. Both charts bear a resemblance to iShares MSCI Taiwan ETF this year, which is up 20% in 2016,” reports Investor’s Business Daily. 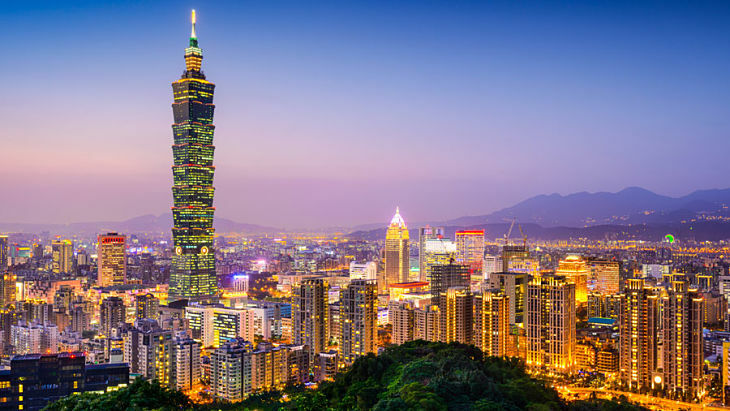 EWT has a smart beta rival in the form of the First Trust Taiwan AlphaDEX (NYSEArca: FTW). FTW’s holdings are selected based “on growth factors including 3-, 6- and 12- month price appreciation, sales to price and one year sales growth, and separately on value factors including book value to price, cash flow to price and return on assets,” according to First Trust. Although FTW allocates almost 56% of its lineup to tech stocks, Taiwan Semiconductor is not one of its top 10 holdings. 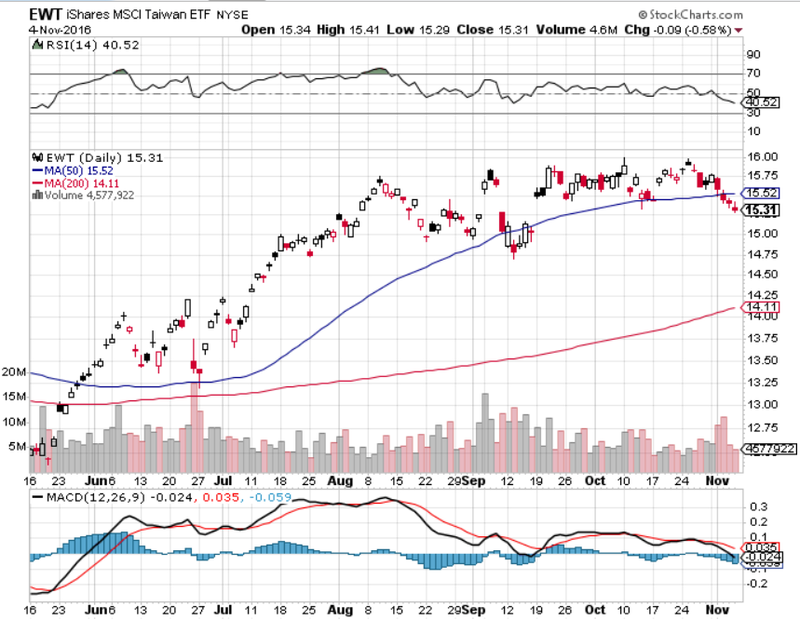 Later this month, EWT “will start tracking the MSCI Taiwan 25/50 Index. It is quite similar to the current MSCI Taiwan Index, but the new one caps the largest holding, i.e., Taiwan Semi, at 25% of the portfolio,” according to IBD.